PLATTSBURGH, NY – Todays Wild Card Playoffs did not disappoint anyone in attendance as they got to see two of the best games ever played in Empire League History. In Game one the Puerto Rico Islanders defeated the New Hampshire Wild 1-0 in a 12 inning pitchers duel. Luis Contreras was beyond perfect as he went 8.1 innings pitched without allowing a single hit. With this amazing performance, Luis also passed the league leader Matt Vogel in strikeouts and has set the Empire League record after his 13 strikeouts with a season total of 84. The League leader in ERA, Matt Quintana, came in to relief Contreras and struck out 9 batters which puts him 3rd in the season with 75 total strikeouts. The Puerto Rico Islanders set a new record for most strikeouts in a game by striking out 22 total batters. The Wild got their first hit of the game in the 11th inning which was a pop fly that was dropped due to miscommunication by the Islanders outfield. 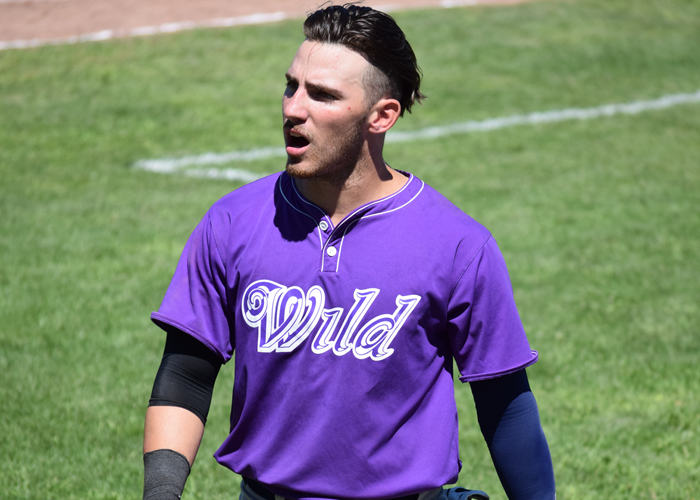 Paul Geha got the start for the New Hampshire Wild and was stellar going 7 innings allowing just 4 hits and striking out 7 batters. In the bottom of the 12th Inning, The Islanders outfielder Ryan River hit a single to the left side to score Kyle Schade and advance the Islanders to the Championship Series. Two great baseball games were played in the Empire League today and great pitching was seen. The Islanders will face off against the Bucks tomorrow at 1pm for game one of the finals.